You’ll always be the first one to hear about our promotions, special sale, new arrivals, product recommendations, best offers and style tips. 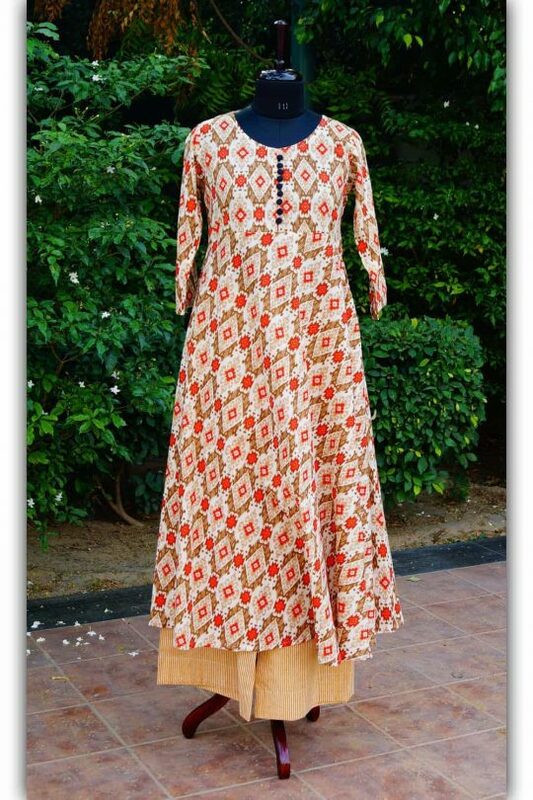 A-line kurta with red borders is based on a grey print and is a perfect match for red pants. Actual bust measurement should be less than bust measurement given in the chart. For example, female with 34″ bust should go for XS & 36″ for S and so on. We leave an extra inside-stitch that one can use to loosen the dress/kurta just a bit. 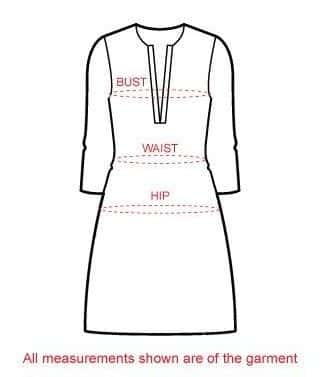 In addition to this inside-stitch, we also leave an extra margin that one can use to further loosen up the dress/kurta. We highly recommend dry wash (Dry cleaning) for first 3 washes. Post that, one can wash the fabric with cold water and mild detergent. You’ll always be first one to hear about promotion, special sale, new arrivals & best offers. 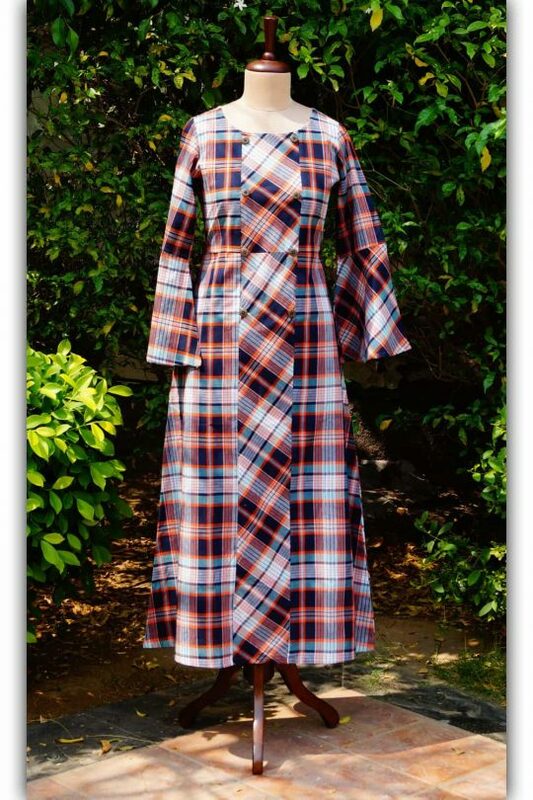 KESSA is a trusted online destination for impeccable fashion solution. When you wish to have something trendy and classy, this online shopping store could pamper your shopping needs with impeccable options. 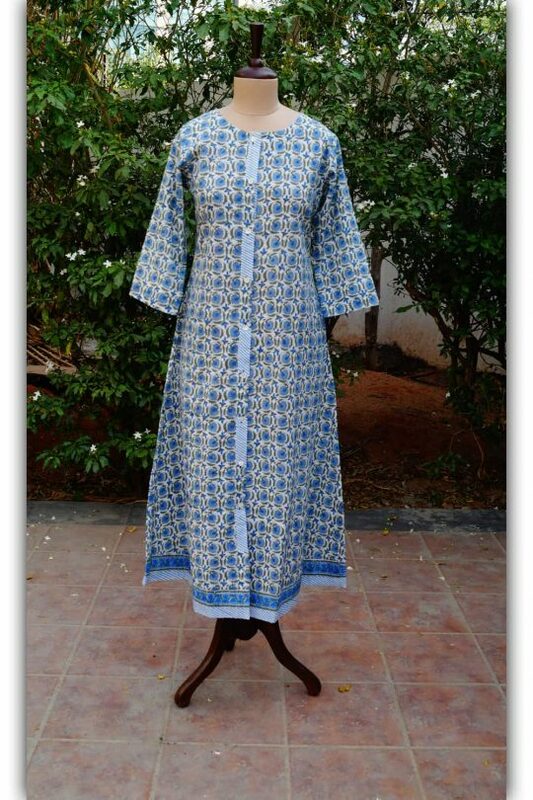 A beautiful world of natural fabrics, elegant block prints and charming designs. Ladies' wear, kid's wear, men's wear, accessories and home furnishings -- at Kessa, each bear a distinctive style. Every piece is of natural fabric & colors and is chosen with great care and passion. Kessa describes as adorableness - a true inspiration, a brand all about passion for crafts and tradition from all across India. 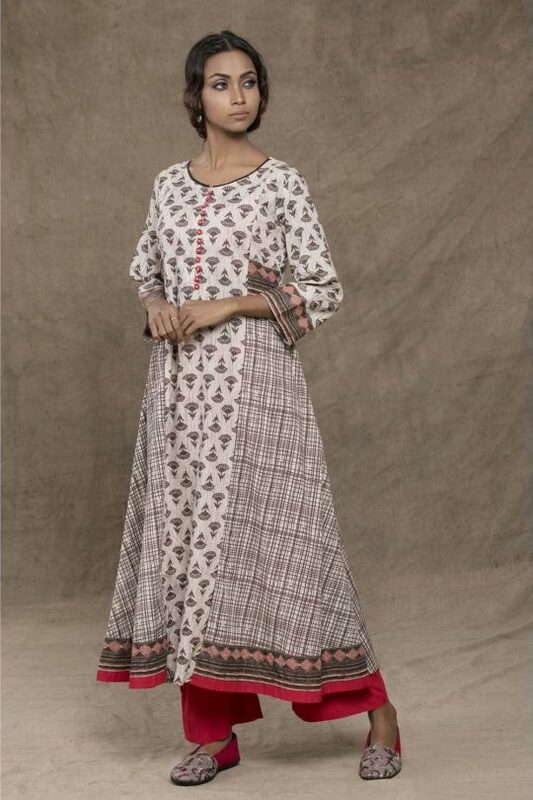 From hand-block of deserts of Kutch called Ajrakh to the weaves of Andhra called 'Ikat', not leaving behind silks of Banaras and yes of course the very famous art Sanganer print of Jaipur. We at Kessa aim to bring you high quality clothing at affordable prices. 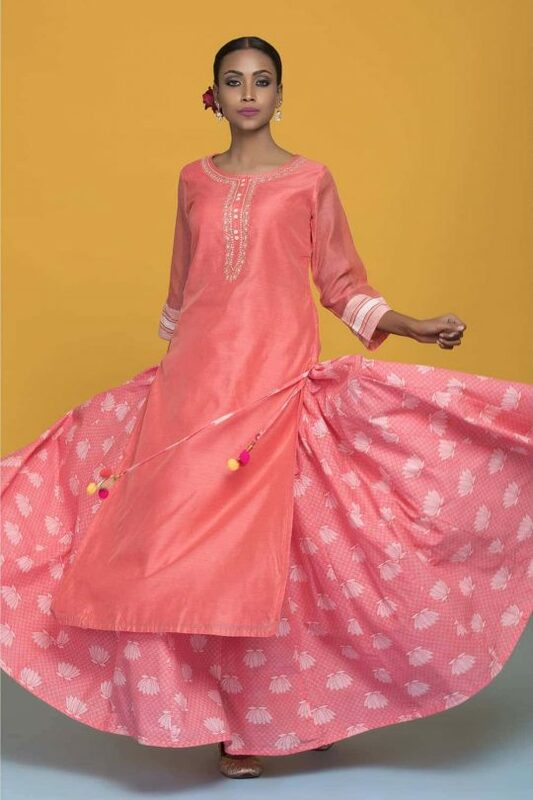 We are creating a contemporary Indian way of living, dressing and beholding for the world. "The label brings together Indian elements and global sensibility." 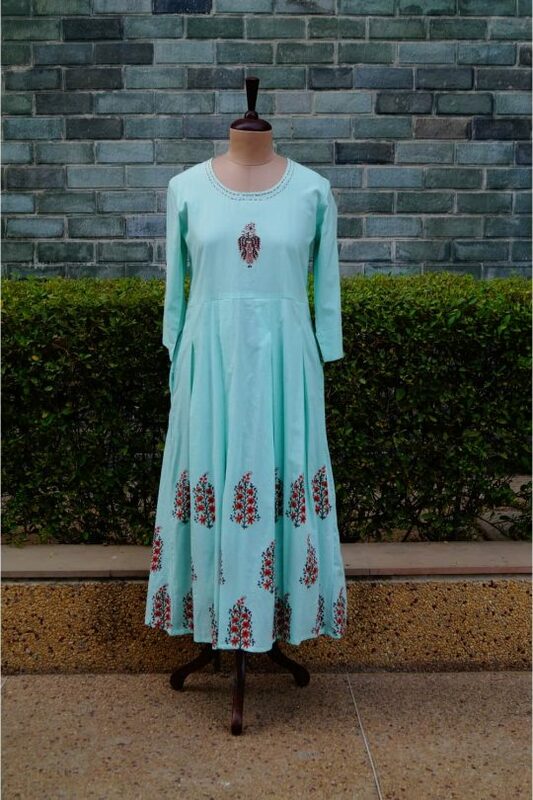 Kurti will never ditch you and is undoubtedly the most ideal outfit to celebrate the chaos of Indian weddings and other important occasions. Also, you can wear this forever existing women wear with various jewellery options and fashion accessories and call it a statement. 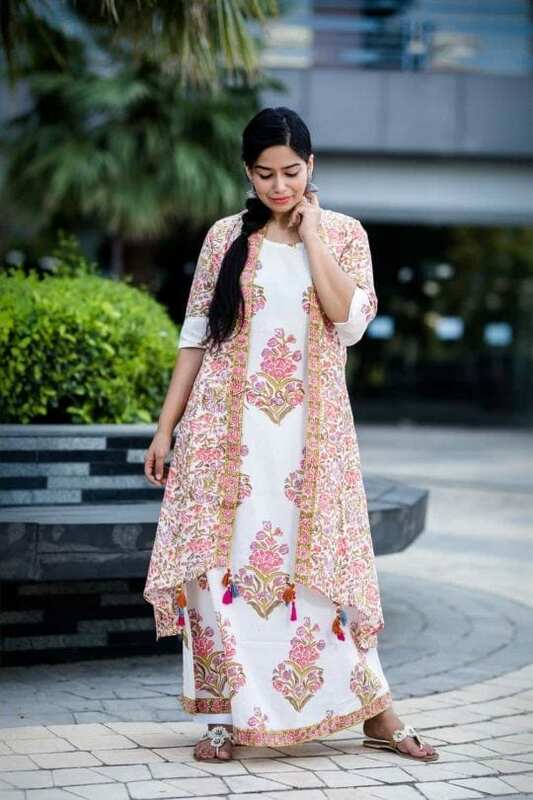 Whether you are a house-maker or a crazy workaholic, explore our magnificent ensemble of designer kurtis to match your individual style and fashion needs. Do it now!